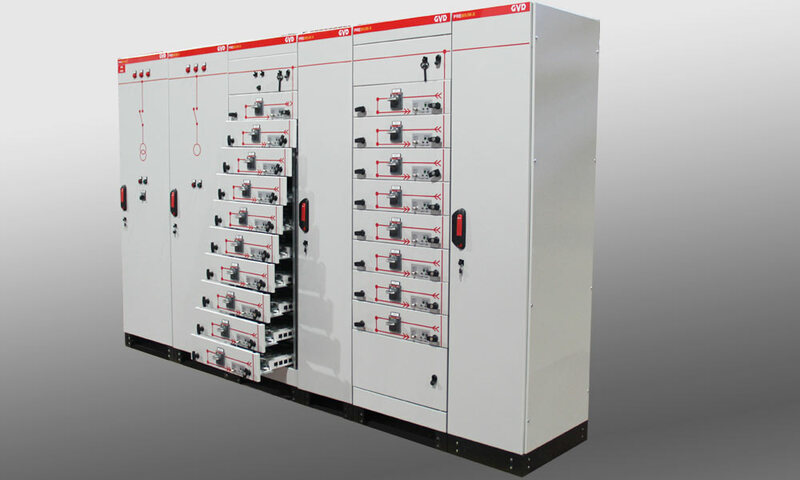 Premium XW panels designed according to Low Voltage Switchgear Systems IEC 61439-2. Premium XW cabinets are one of our free standing type system solutions. Structure consist of 600mm depth system solutions with single module. Busbar compartment depth should be limited as 600 mm for higher depths . Modules have different alternatives such as 400, 600 mm width; 1400, 1600, 1800, 2000, 2200 mm height. 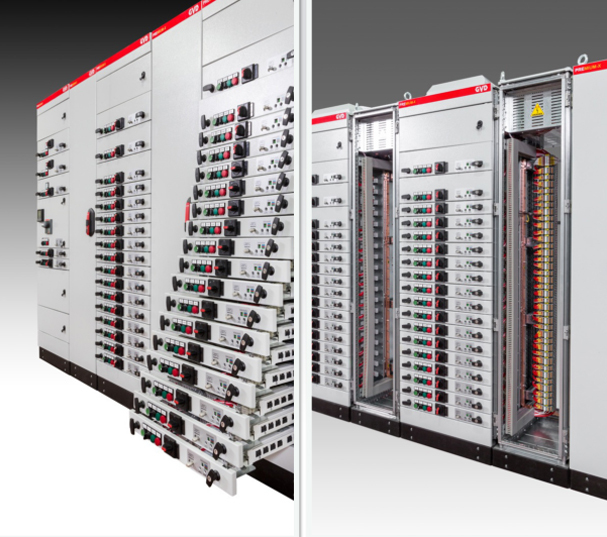 Module and busbar compartments should be 600 mm and cable compartments should be 400 mm. Provides different solutions from IP31, IP43, up to IP55 protection degree. Premium-XW cabinets with specially designed profile structure which has 27 bendings provides several advantages to our customers about quality and easy installation. Even though it has a modular structure due to the gasket channels on the profile protection degree available upto IP 65 . Door hinges, panel combinations, rear & side door fixations can be done with a single part in this this profile system. especially where malfunctions must be rectified without interrupting operation. chemical industry or water treatment plants. can be replaced without the need of any tool. * Power transmission with wear-free contacts in the contact modules. operation without needing to switch off the system. * Protection against incorrect operations by safe locking mechanisms. 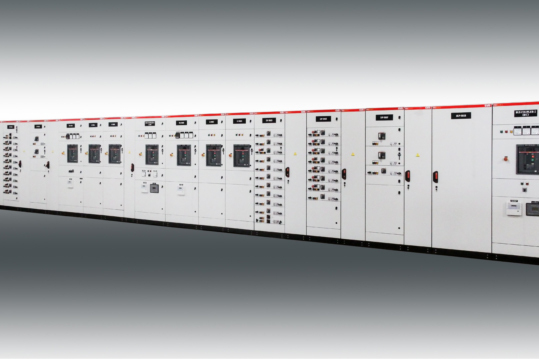 * Offers more cost-effective solutions due to compact contact modules. material fatigue does not ocur. This is the basis for significant system advantages. distribution bus bar and the cable connection module. and “Disconnected ” can only be initiated by the switch lock. and locks are realised with this contact apparatus. module is lead via the side guide rails of the contact modules. and are designed without base points to prevent arc-faults. The system is protected against incorrect operation by safe locking mechanisms. module door when the contact module is engaged. regulates the drawer extraction and locking system. (connected, test, disconnected and drawer removed). This is madepossible by the door that can remain closed in these four positions. locked using up to three padlocks. (ON position). The interlocking mechanism connects the door handle and the operating shaft on the circuit breaker. may be locked using up to three padlocks. 3-Disconnected position; All circuits are disconnected This position may be locked using up toı three padlocks. by a design without base points, providing improved arc-fault protection. –level protection against accidental contact is ensured. switching off the system . wall between equipment and cable compartments. a high level of safety is ensured for persons and operation. Cable entry is possible from above and below into the terminal compartment. grid according to DIN 43660 (25 mm=1 unit). 3/6/9/12 units The preferred width for the equipment compartment is 600 mm.